"Perfect NoSQL database solution for AWS"
AWS DynomoDB is great for NoSQL database. It is a native AWS service that provide NoSQL service. I like it easy to set up, and to manage. You can create a table very easily and simply add key/value pair to a table. 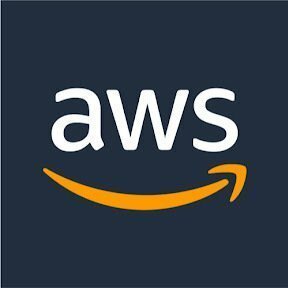 AWS is providing the service, not the product. That said, you do not have to worry about data durability. You just tell AWS what data you want to store and it will take care of the rest including security, scaling. Like RDS is the relational database service not the product. It has good price. You do not pay a lot using DynomoDb. I have not found anything I do not like for now. If you want to use NoSQL service but do not want to host a server, try DynamoDB. When you need NoSQL service and do not want to host a database server. "Review For Amazon Dynamo DB"
Amazon Dynamo DB is non relational database which is very reliable and scales really well. It support json format and can be used with any other Amazon Service. Amazon Dynamo DB is very easy to integrate with Amazon AWS Lamada and AWS API Gateway. It can be used with AWS IOT to store the data collected from the device. Amazon DynamoDB does not backup your data for free. Use has to write script for this. Querying data to DynamoDB is very limited. Joins are not supported by DynamoDB. It is deployable only on AWS, not on individual machine and server. What Document Databases solution do you use? DynamoDB is very easy to get started with, with a table name and a partition key you are on your way to data fun. It is a very fast environment and can be great to store a vast amount of data with very quick retrieval. JSON is a key part of the tool, so it easily integrates with web products. Having different SDKs also allows this product to be integrated into different software/projects with ease. Because you are limited to a partition and sort key for primary searches, and knowing that scans can take some time to complete, there is a doubt of how production applications will perform. However, this is assuming you are completely moving away from a SQL environment. DynamoDB should be used as a tool, not as a replacement. This being said, it would be nice if it could do everything needed for a production environment. Fast access to large amounts of data. Because it is so fast and easy to get set up, it allows us to try things and store vasts amount of data without jeopardizing our production SQL environments. "Best choice for NoSQL storage"
DynamoDb is non relational database where you don't need to thinking in clustering, scaling and any other administrative hardware related task. You only need to provide the capacity of reading and writing () over a primary o secundary index. DynamoDb is designed to interact with a lot of AWS resources, like Lambda, ApiGateway, S3, and more. Our business required a quickly response to the changes on reading capacity. Although DynamoDb has a self-provisioning characteristic, sometimes it is not fast enough to adjust to our needs. You need to take care about all the reading and writing access patterns in order to provide a good design at least for the primary (partition) and secundary (ordering) keys. Unfortunately DynamoDb do not allow changing this properties after build a table. We have using DynamoDB for complex entities models where there are a lot child levels of related information, mainly for our main Digital Signage solution. In some scenarios it has been used too for storing post-processing data-lake results (but there are better approach for this). "A great transient key-value store"
Dynomadb is easy to get started with for prototyping. I really also really like how it handles sharding and partitioning for you. By and far though, Dynamodb streams are the best feature of dynamo. I no long have to worry about scalability of sql triggers in large relational tables. The ability to hook other aws services into streams is awesome. Indexing in dynamodb isn't very pratical. I have to either generate a random partition key for indexing, which then I have to store somewhere or I run into hot partitions. This makes dynamo a non-viable solution to replace all other document stores. I built a general purpose replacement for quartz based scheduler. Dynamo served the role of a trigger firing mechanism, with dynamo streams guarenteeing that events were fired only once. "Best fit noSQL solution for AWS"
We need to reply on Partition and Key to retrieve data, it does not support a powerful query language for retrieve, summary or count data..., use additional key are costly and reduce performance. We use DynamoDB to store our data for applications which deploy on EC2 and Lambda, it is very effective on performance and limits user access base on role, we also store the index for big data which store in S3. "Fast Data access for a known use case"
Query speed is amazingly fast, Very easy to develop around (A simple client in Java/Python can be developed in a few days), easy to tune read and write capacity units. No ability to see number of partitions any given table has, this makes it hard to find hotspots and problems with a data model. Hard to develop models for all use cases. The cost for our use case was extremely expensive. Make sure the use cases are all known up front, Dynamo supports a max of 5 GSIs per table and if additional requirements/query criteria are added later on there is no built in support. Storing customer events as documents for query-ability by our customer service teams. 2. Server side logic not really well formed. ie, need to first read and retrieve the item back to client side to do logic manipulation. And then write back to server side. Needed something that can scale with me. Previously using Aerospike, but maintenance is too taxing. Switching over to DynamoDB. The latency increases when storage exceeds 10Gb data. It divides them into chunks and spread across different partitions. This could be disadvantageous for developers working with large datasets. The scaling capabilities are suburb! You pay for your write and read capacity units and can scale easily by setting triggers on read/write consumption. Queries are incredibly fast and useful for storing meta data about items (a good example might be object location in S3). Can be a bit annoying to upload lots of data at once due to the write capacity units. You need to jack it up very high to run a script with a loop. We wanted to store tags to certain files that contained information such as name, location, and some other meta data so we could create dynamic content within our webpages. Simplicity and performance. Once you get your schema designed right, the table can grow from 10's of RCU/WCU to 10's of thousands with minimal intervention. It's getting even powerful with new features like PITR, Global Replication. Read the manuals first, check the deep dives on DynamoDB on Youtube before designing your schema. KV data access. As long as the primary key gives enough cardinality, the performance and scalability would be great. It also hooks into AppSync which provides GraphQL interface to the rest of our stack. "Distributed, reliable and maintenance free"
As far as getting started, it's hard to beat Dyanmo, open the AWS console, make a new table, and start putting data in it from the command line or the various client libraries. The pricing is very simple - the more throughput you want the more you pay. the data model is very flexible, being a subset (representing a superset) of JSON, with the only requirements being that the primary and optional sort keys must be present - everything else is up to the user, allowing the data model to change over time. Deciding on how much capacity your particular application will need can be difficult, and from memory changing the values can take a few minutes if you get it wrong and need to respond to excess load. There are some interesting gotchyas too, such as its inability to store empty strings - empty strings should be distinct from non-existent strings so I regard this is a serious flaw in the data model (I'm sure there's a million ways to work around this, and the problem comes from the implementation of a million independent solutions to the problem). Make sure you understand then limitations of the data model, and querying data. Ensuring your primary key is something which makes sense to shard on is very important. We haven't put Dynamo through its paces as much as I'd like, so far only using it for logging of all HTTP requests to some of our services. When we find the right use case, we'll definitely be keeping it in mind (we're not using it because it doesn't solve the problems we have, not because there's anything wrong with it). "great storage and retrieval time"
DynamoDB is relatively easy to start up, it has a table name and a partition key which help you get started. With a speedy environment, it has the ability to store a lot of information and has with fast retrieval time. It easily integrates with web products using JSON but is not limited to JSON. It doesn’t quite do what a production environment can so it is limited int his respect. Because of the series lack of a production environment, I was only able to use it to obtain large sums of stored information quickly. DynamoDB Streams is the absolutely amazing feature. It is a mixture of SQS and SNS with builtin retry strategy which allows you to implement Kaizen (https://en.wikipedia.org/wiki/Kaizen) approach to your solution. Luck of SQL like querying. But I heard that Athena service going to support DynamoDB as origin soon. SO should be good soon. Mostly we are using DynamoDB to orchestrate server-less workflow with controlled concurrency. With AWS Lambda, DynamoDB is the best NoSQL DB. The best price / quality ratio. Is not easy to implement. AWS DynamoDB panel for show db item, search items and insert is complicated. "The most scalable database till date"
The best thing I love about DynamoDB is its scalability and availability. On peak, we send more than 80K of TPS to DDB and it have always been resilient to handle the traffic. Also, the flexivbility to adjust the read and write capacity od DDB is amazing. The fact that there's not yet any fast way to migrate my data from relational database to DDB is a thing I miss. More export and import features in DDB is the thing I'd like to see. We store customer's data and their search history in DDB. "DynamoDB as the basis for highly scalable microservice SOAs"
DynamoDB scales without limit, requires no maintenance, no backups, no dedicated server instances in that it is provided as an AWS service. Regardless of the size of the data set stored and the number of accessing clients, access times are constant and extremely low and can be configured dynamically at run-time. This makes it possible to use DynamoDB where SQL solutions inevitably will fall down when load increases. With DynamoDB, it's easy to authenticate millions of users simultaneously without any degradation. There's really very little to dislike. The only thing might be that counting the number of items in the data set is an expensive operation. However, this can be overcome in a number of ways. There are also very few ORM handlers available, something I've tried to remedy with the ocean-dynamo Ruby gem (https://rubygems.org/gems/ocean-dynamo). DynamoDB is used in the Rails framework Ocean (http://wiki.oceanframework.net) with which a HATEOAS REST system, complete with continuous integration and delivery, can be built in the Amazon cloud in a very short time. Ocean is built to scale without limits. DynamoDB is an absolutely central technology in providing this scalability. "Who doesn't love an easy to use maganed key value store?" It's super easy to get DynamoDB securely integrated into a new or existing application. Some of the constraints are too strict in 2018. The size limits for a "row" of data is the worst. Be mindful of the size restrictions. Like a lot of AWS it can be unecssarily expensive when careless. A few rare situations make it expensive no matter what. "Professionally managed, powerful and scalable"
I worked on the backend for mobile games with millions of users and used DynamoDB as the primary persistent data store. The best feature for us was the ease of scaling. We could literally change a number on a control panel as our capacity needs increase and Amazon would rapidly and automatically handle the scaling behind the scenes. Documentation is clear and comprehensive. We had no trouble adapting our more traditional SQL DB models to Dynamo's. There is a learning curve involved since you will likely need to remodel your domain objects unless you are already using a similar NoSQL DB. Rethink your data model. Make sure DynamoDB is the correct fit for you. We moved a traditional relational DB application onto DynamoDB as our scaling needs were much more difficult to handle. In addition we wanted to simplify our application logic and unit testing story by making our game work with large documents of data instead many small ones spread across multiple tables. "Increases your ability to abstract away Data Management, allowing you to focus on Application Logic"
It is a hosted service, which greatly increases your ability to abstract away the Data Layer, allowing you to focus on Application and Business Logic. I also like its ability to let you scale throughput dynamically with your application needs. Dynamo is also very fast. There are some shortcomings to Dynamo. For example, Dynamo lacks TTL support, which removes certain use cases, like expiring tokens, or rate limiting. Dynamo also lacks a sleek query language like Cassandra's CQL. This makes performing Ad-Hoc queries much harder. Also for larger workloads, it becomes expensive provisioning a certain TPS. It's great for applications where data relationships are relatively simple, and you don't need to worry about expiration of Data. DynamoDB starts out Cheap, but can quickly become expensive with higher workloads. However this is offset by its ease of use. Scaling up and down can be done with minimal effort. Deploy and Maintain a production Mobile Application. The main benefit to Dynamo is its ability to auto-scale, and to manage distribution of data for you. As a small startup team, we don't really have the manpower to dedicate to dev-ops or system administration full time, so the less moving pieces, the better. Dynamo takes care of itself, allowing you to focus more on the Application, than on where to store the Data. "Great horizontally-sharded data store with a very explicit API"
The simplicity of the API and data model really appeals to me, it kind of just does its thing well and doesn't try to be the perfect database for everything. After learning how it works, which you can do in the docs as well as the original dynamo whitepaper which is very good, it becomes pretty clear where the tradeoffs are. Once you get a system built on top of dynamo, the big upside is you actually get pretty much unlimited scalability just by turning some knobs as you grow. Because it's so simple and forces you to work within its framework, it just feels a lot more solid and predictable than other marketing-heavy datastores (MongoDB being the one I've been most burned by, though I haven't used it in years now so maybe it's better) that promise scalability but also try to do everything and so offer a lot of features for the single node case without making it very clear which features you need to avoid using if you want to run in sharded mode. And then aside from data model, that fact that it's hosted is amazing. I set up a Cassandra cluster a few years ago and it took weeks just getting the JVM running stably with the right GC generation sizes, setting up monitoring, etc. As of a year and a half or so ago, DynamoDB now has basically all the features that Cassandra does (the notable new additions being set and dictionary types that you can use for some kinds of CRDT data types). It also works well with Amazon Elastic Map Reduce - you can run a huge Hadoop job, say, and output the results to s3, and then turn up the writes/sec very high temporarily on DynamoDB to write the results to dynamo quickly, where they can be used in your app. The downside to dynamodb is that you have to structure your data as simple key-value lookups, and this makes some things that are simple in SQL databases, like adding an index to query a new field, a little harder in dynamo. There also are no joins, so you have to do any joining you need either in memory or by duplicating data and denormalizing. Again, it's not the perfect database for everything. Particularly if you have a system that you expect will always be well within a single server's capacity, and you want to be able to do OLTP and OLAP workloads in the same place, using a SQL database probably makes more sense. If you need (or expect to need in the future) a horizontally sharded datastore, DynamoDB is awesome. Any problem where the data grows fast. E.g., I've used it with social networking data with good success. Autoscaling, rapid lookups for known partition and sort keys, global table replication, backup and restore, encryption at rest. I should be able to convert an existing table to a global table. Backup and Restore should work with Global Tables. Keep Gov Cloud DynamoDB up to date with commercial regions. Scaling up/down can be quicker. Make sure you set up encryption/replication from the get-go as backfilling/conversions are costly and need t be done manually. Storing entries for fast lookup as a K-V pair. Cost effective and scalable solution that provides a lot of flexibility. The build in monitoring support is really powerful and I enjoy having such strong security in a database solution. It was really easy to learn and the learning curve was very low. 1MB Limit on Queries which can be problematic for larger datasets. 64KB Row Size limit which is sometimes too little. The database seems to round up the size of read operations. Joins are not a possibility in the current solution and would be a much better addition in the future. The backup process is more difficult in comparison to some of the other solutions that are out there. Increase query limit from 1MB. Client wanted a flexible, effective database solution that provided good monitoring tools. "My experience with Dynaml for data collection and storage"
Dynamo for quick and efficient data collection has been very useful. We use it for an app developer somewhat recently. I wish there was an option that allowed us to download data automatically at the same time everyday instead of us having to go in and download it manually. It would save us a lot of time and worry. We have been using this to collect data within an app we developed. It has been working well so far and we always receive help when we ask for it. We haven't run into any big problems so that's good. Performance and availability. This product is great if your data needs to highly available and you know a little bit about your data when accessing it ( great when searching for single items by primary index). Not so great when trying to access potentially lengthy lists of records by multiple indexes. Auto scaling for indexes which are particually spikey can be costly. Costs are created from either additional dev time to manage throttling or more expensive (potentially wasteful) R/W throughput minimums. All of these negative aspects go away if your company has lots of money to spend on a DB..
"experience with DynamoDB is good"
Its nature of providing database as a service. We can increase and decrease the size of it any time without any problem. "Great for quick start NOSQL DB"
Very easy to get an instance of Dynamo running, and fairly easy to grasp the basics of how to setup proper keys/range keys. More complicated schemas can be hard to fit in the range key paradigm. Think carefully before you assign a range key to a field. Make sure your need is actually a NOSQL DB before locking yourself into one. I used Dynamo to store chat logs from Slack. It does exactly this. "Highly scalable, but understand the design constraints"
DynamoDB allows you to build your software applications without having to worry about scaling your database. My company has dozens of Amazon DynamoDB tables, some of which only perform a few reads/writes per day, and others get thousands of reads and writes per second. We can build our application and allow Amazon to scale out the infrastructure without much database administration or server management. It's very important to choose the right Partition Key and Sort Key for each of your database tables. (Previously these were called Hash Key and Range Key.) In particular, your Partition Key should be uniformly distributed across your dataset: your usage for each Partition Key should be roughly equal. This means that there should be an equal number of database rows, and your reads/writes should be uniform as well. We chose a non-uniform partition key, which caused us to run into thousands of "ProvisionedThroughputExceededException" errors. Ultimately we had to migrate our data into another table which had a uniform Partition Key. This took a few weeks, but since then our table has been perfectly scalable. We had a large database table of over 300 GB which we were storing in PostgreSQL. This table was growing rapidly, to the point that it soon wouldn't fit on a single database server. We attempted to migrate to a different table design in PostgreSQL, but that project failed; we were unable to keep the data consistent in the new table design. We had less than a month to come up with a better solution for this large table, or our core business would be unable to function. Ultimately we were able to migrate to DynamoDB in less than a month, and since then the data has grown by approximately 500%. "Takes a bit to adapt to but allows for great performance and scaling"
As a backing store in relevant cases, if you architect right and implement carefully, DynamoDB lets you think about scaling workloads in an altogether different way. Compared to running your own mongo clusters, ar complex MySQL or PostgreSQL replicated systems, Dynamo lets you worry about your data models and access patterns instead. It takes a bit to adapt to the feature set, and of course this is definitely a case of vendor lock-in. Consider your data model first, don't rush blindly in. We have needed to expand and migrate from the traditional datacenter-based host provisioning, both in terms of frontends and backends. The backing store with millions of rows of data in multiple tables and spiky production loads is difficult to implement efficiently in the datacenter, the costs quickly run out of hand and the maintenance is very fiddly. After investing in architecture and code refactoring necessary for a switch to AWS-based deployment, backed by DynamoDB, we slashed the costs and greatly simplified database management. Dynamo is the leader in document based storage. It prides itself on dependability and scalability. One of the coolest features is the ability to set a table to auto-scale itself. While you need to be aware of the nuances included in this feature, it is likely that you can automatically gain significant savings on your tables with 1-2 clicks. Many can't complain about DynamoDB. If you are not aware of the speed and advantages that it provides, it will seem very costly to use. This is not a viable solution for hobbyists looking for a free database. 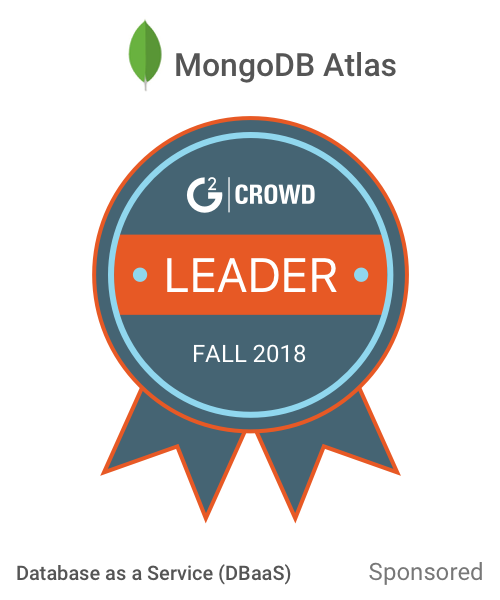 "A great non-relational database with automatic management and a low learning curve"
Up-front pricing offered by DynamnoDB (as with all AWS services) is great given that some of the competitors out there have very nebulous pricing plans. Automated scaling and replication is great, so you're saving the cost of (probably) a full-time DBA person. Storage is fast too: SSDs are very superior to having your own SATA drives running Mongo or the like. The low learning curve (of querying the DB) is great as well. Multiple indicies is something that it lacks. This results in DynamoDB being great for key lookups, but really bad for multiple predicate queries. Weigh the costs of learning a new system (and potentially switching your company over to the complete AWS ecosystem for ease of use in conjunction with DynamoDB) before you contemplate making the switch. Solving EHR data storage and querying we've had vast performance increases over our SQL databases. Dynamodb is very simple to spin up and get going, and requires little setup, especially if your application doesn't need the columner storage of redshift, nor the relational data store of rds. I generally look to use dynamodb db first for applications that don't have complex requirements, and need fast response times. The streams are also very helpful as an event driven entrypoint. I've had issues with burst blowing through the provisioned throughput. While we handle this in the application, I still think the autoscaling could kick in faster. Mainly storing inbound emails, and using dynamodb streams to trigger downstream event flows. "dynamoDB is a super simple DB to create and maintain"
"Making things easier for the client developer"
The thing I like most about DynamoDB is the abilityfor a client developer to immediately be able to create scalable backend datastores, integrate with them, and not require a server engineer. Periodically I run into issues with migration. This might be an data archietture issue but sometimes it feels like I"m fighting with Dynamo. Creating apps that benefit children and the aging population. We've been able to run massive DB that was previously in mysql on dynamodb with minimal provisioning and it's just plain easier to deal with. Much much faster. nothing, it does exactly what you'd expect. document db/key value stores taken out of mysql and put into ddb. I was interested in using DynamoDB so I wouldn't have to create an maintain a MongoDB cluster. The high availability is nice and seems to be quite easy to scale up. Not enough tools to support usage. MongoDB has many very mature ORMs and great community support. Development with DynamoDB was incredibly slow and difficult. Learning how to use DynamoDB is difficult because of the unfriendliness of the AWS documentation. The documentation are very vague, in a generic layout clearly not fit for it. I was creating a marketing automation product. Had to change to MongoDB 2 months into development. Great NoSQL db. Its consistent and Partition tolerant. Also can be configure for high availablility. Scales well. integrates smoothly with kinesis and S3, and other useful services. Expensive to use when payload is not huge. Should make it attractive for medium data load as well. Its our OLTP system, we stream our data thru Kinesis and dump into Dyna,modb. Love that it is managed and serverless. No need to patch. It's very use friendly and very straightforward. We have been using it for a bit and like our experience with it so far, the customer support is also very friendly and has been instrumental in making our experience pleasant. I don't have much to complain about at the moment. The services I've used through DOB have been germane and ice enjoying used the service. We like it so far! We've used this to collect and record data. It has been helpful on a lot of different levels. It's a good and stable service that has come in handy. Really low latency and powerful query options. There was a bit of a learning curve with secondary indexes. The documentation was clear so I was able to figure it out. I think there was also documentation on how to partition data effectively so there weren't partition throttling issues, but that sort of thing would be nice to not have to worry about. "My Experience with DynamoDB: Good and the Bad"
I like the autoscaling and extensive feature set. Hire/Ask questions from someone who has worked on DynamoDB previously. DynamoDB is very extensive, there are multiple ways of doing the same operations, understand how Dynamodb works and how you should integrate it before you start coding. Easy introduction and transition to a NoSQL database. Design pattern experts available to you. It's still young so best practices & conventions are still in the works to some degree. Managing ACID in the application. Research into the design patterns that will best fit your use case. Avoid copying the data into the new pattern down the road! We're able to commit and move code to production quickly by not worrying about a schema. We've setup a simple relational data model with it. Scalable with options to add additional indices, LSI, GSI. It is very reliable and completely integrated with Aws. You can specify IOPS and change it later on. It also allows you to set IOPS for other indices. You need to define all indices upfront. In case your requirements change, you would need to recreate the table after dumping data back and importing again. Dealing with spikes in IOPS could be a big trouble. Using it as NoSql store, where number of records could grow a lot. "Great performance when capacity is planned right"
The performance and the simplicity in setting up the tables on dyanmo is the best. Autoscaling configuration can be done with ease. Dynamo combined with DAX is great improvement for performance and also helps in handling cache refreshes. Needs the capacity to be planned upfront and the autoscaling takes time before it takes into effect which in-meanwhile causes impact to the users. Using as a key/value store for rolling out deals/offers to customers and tracking their redemption. The benefits are realized mostly from performance POV. "Got chose if you need a lot of reads"
You can decide and change in the future what throughput do you need. This is a special important if you don't know how many user you will have. Scan and search could be faster - if you have a lot of data this is expensive and time consuming operation. I had a lot of reads and only a few writes. Thanks to DynamoDb I can easily scale my service. "Great service but costly at scale." The fast read write functioanality. And good support for multiple connector from spark and kafka. At time it causes so much of problem when data scaling happens and its too costly. We are developing microservices and using it with some high write load. "I tried used it to try writing an API"
For me, the best part of DynamoDB is the price and the fact that it is stored on SSDs. It's hard to find a better deal than that. The API, at least when I was using it, for Node was pretty horrible. Not sure if it has been updated since. But it is unlike any other database I have used, in a negative way. Make sure you read the documentation and are aware and accepting of it's drawbacks. If you can work around them, then it can be a great solution. Trying to build and deploy a simple and easily scalabe API. Its Auto Scaling features abstract away the management issues regarding having to increase or decrrease capacity. A fantastic use for data storage when you need flexibility and don't want to keep updating relational tables. Vendor lock in, expensive, UI was initially a bit confusing to me, but once I explored a bit (not long) it clicked. If you want flexible storage and need persistence while exploring data, DynamoDB is a good choice. Great for PoC for data exploration when I need to pin down exactly what it is I need out of my data. * We monitor all Amazon DynamoDB reviews to prevent fraudulent reviews and keep review quality high. We do not post reviews by company employees or direct competitors. Validated reviews require the user to submit a screenshot of the product containing their user ID, in order to verify a user is an actual user of the product. Hi there! Are you looking to implement a solution like Amazon DynamoDB?